It is Monday, and it is raining yet again - booooo! 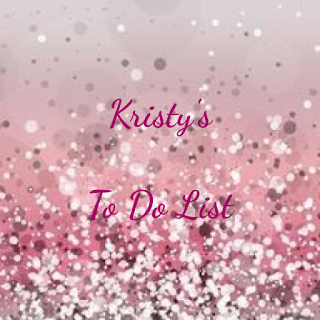 Not a lot ticked off the list this week - again! 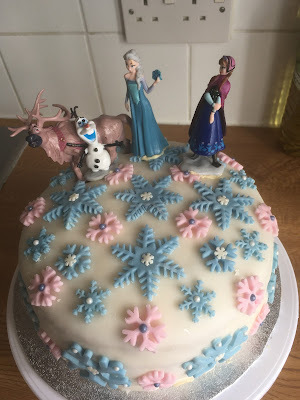 I did about an hour sewing yesterday but after fighting a monster hangover on Saturday (was not justified, I really didn't drink enough to be bed bound all day) and yesterday coughing and sore throat all day (feel a bit better today) along with another #freecakeforkids I haven't ticked much off! So I have finished my first dress! YAY! I have to say I am not completely in love BUT I am going to wear it on Saturday night to dance my troubles away so I am sure I will warm to it! Cake No 3 - Frozen themed vanilla sponge - hope she likes it! As I said last week I really need to work on getting some of these off of here, mainly the things that are cut, I think that is my main challenge to myself - finish UFO's this week! I also want to sort out my stash, just to keep it in a healthy order and by no way is it so it will free up some space in my one and only stash draw...nope, it isn't, honest!